Ideally located. In the heart of Madrid. 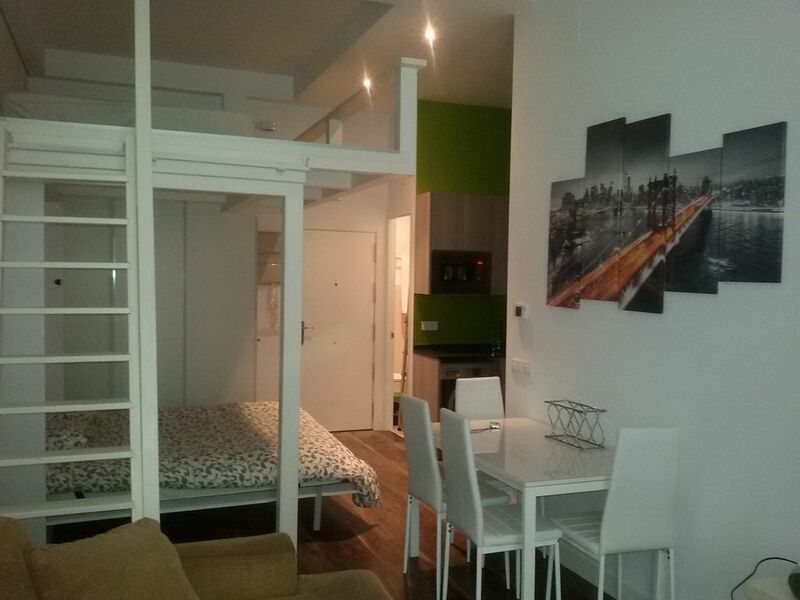 At 250 meters from the Plaza de Santa Ana and 450 meters from the Plaza Mayor. Next to Congress. You can walk to all downtown Madrid from the apartment, including Museo del Prado and Reina Sofia Museum, as well as attending musicals Gran Via.. In the Heart of 'tapas' of Madrid. closer to less than 100 meters underground. Cinemas and theaters in the area. Jorge's place was perfect in every way! From the time I booked, until I got to the apartment, Jorge was guiding me every step of the way. Lourdes (his sister) met us when we arrived & explained everything there was to know about the place. The apartment itself was clean & roomy, more than enough space for 3-4 people. Location was also perfect, just off of Calle Atocha, and not more than 5 minutes walk to Puerta del Sol, Tirso Molina Metro & Supermarket Dia...I was so glad I stayed here & I'd do it again without hesitation! Great location and perfect for what we needed! Great stay. Location is perfect, easy walking to Plaza Mayor and to museums. Grocery store and metro stop very close. Apt well equipped and comfortable. Host friendly and helpful. Street somewhat noisy on weekends. Highly recommend. This space was perfect for a small group as it was in the heart of everything we wanted to see. There is a metro at the end of the street as well if needed, but we walked almost everywhere. A few details to be aware of if it is an issue for you; the hot water was very short. You will most definitely get a cold shower at some point with more than one person staying here. The kitchen was lacking a few things: kitchen towels and knives, and also one of the two burners was not working. If you plan to cook it could make it difficult for you. All in all, the place was perfect for my group though and I would definitely stay here again. Thank you!! Siete in 4? Non perdete tempo a cercare altro. Prenotate questo appartamento. Bello, pulito e VICINISSIMO a tutto. Ci siamo trovati benissimo. Jorge e sua sorella sono stati gentilissimi. Siamo arrivati in ritardo rispetto all'orario previsto e ci hanno aspettato. L'appartamento è piccolo ma organizzato in modo stupendo e non manca nulla! I nostri figli felicissimi di dormire sul lettino a soppalco.